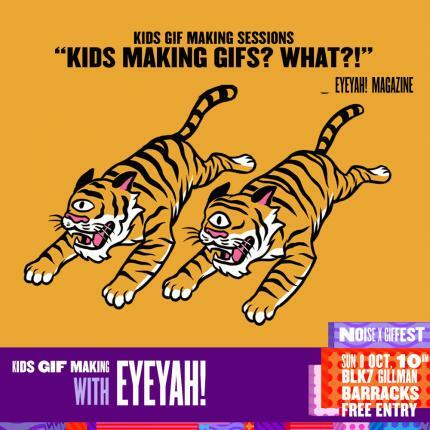 Families can visit the exhibition and try out our KIDS GIF making station hosted by EYEYAH! This one is for all budding creatives age 5 and upwards. Using a combination of stop-motion technique and collage, kids will learn how to make their own GIFs ready for online publishing.